"For me, the rather amazing aspect to the cakes is how very much ‘variety’ I manage to squeeze out of a format that I have done many, many times." 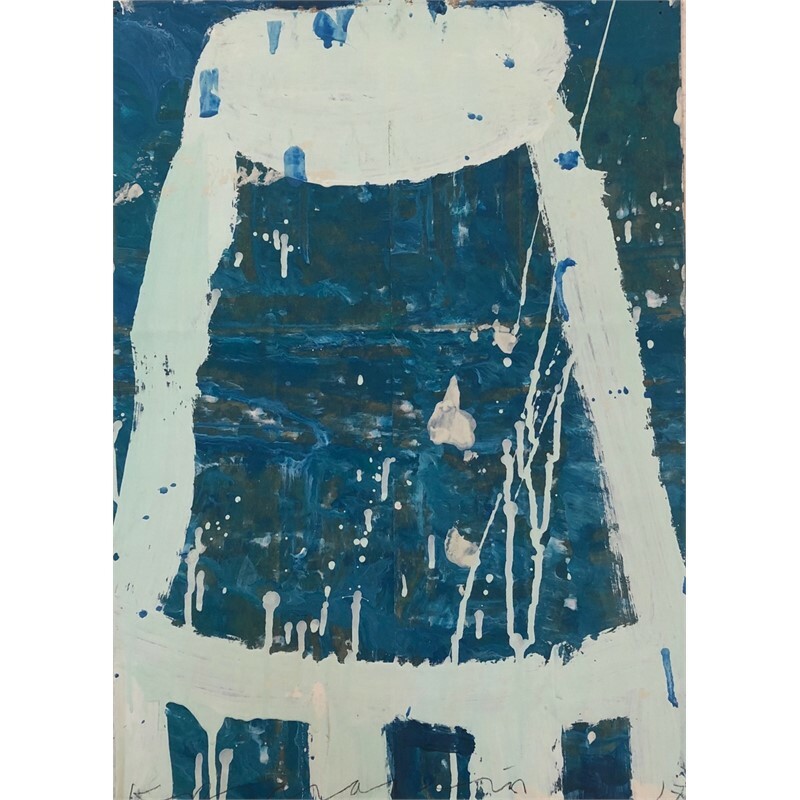 Born in New York City, the son of a Czech architect and Viennese writer, Gary Komarin is a risk taker in contemporary painterly abstraction. 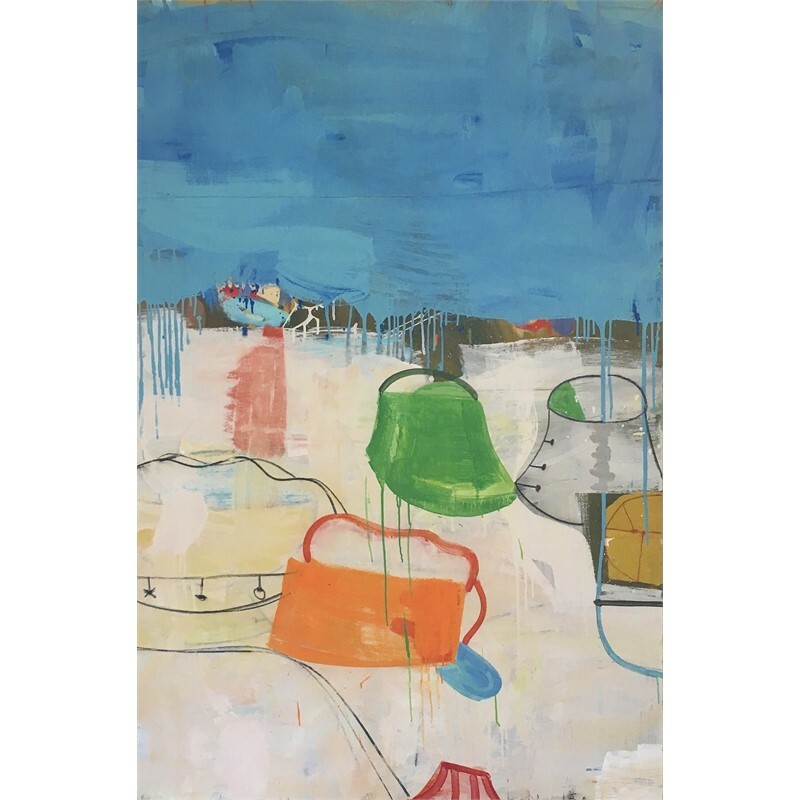 deep connection to the tradition of modern painting as well as its sustained individuality as an utterly personal voice. 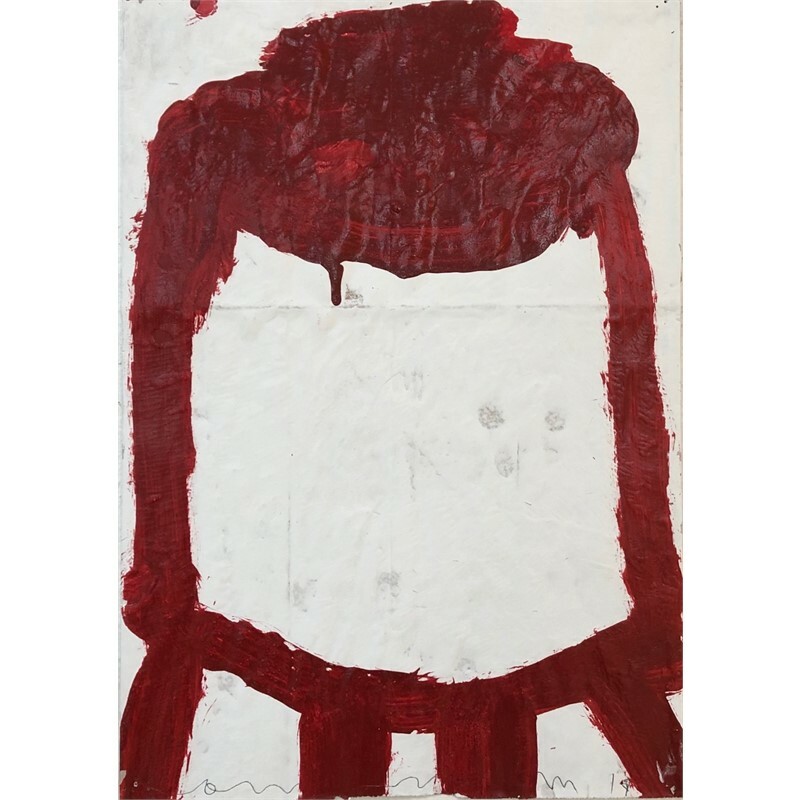 Like many of the best artists of his generation, he is indebted to the New York School, especially his mentor Philip Guston with whom he studied at Boston University where he was awarded a Graduate Teaching Fellowship. Komarin has been particularly successful at filtering these influences throughout his own potent iconography. 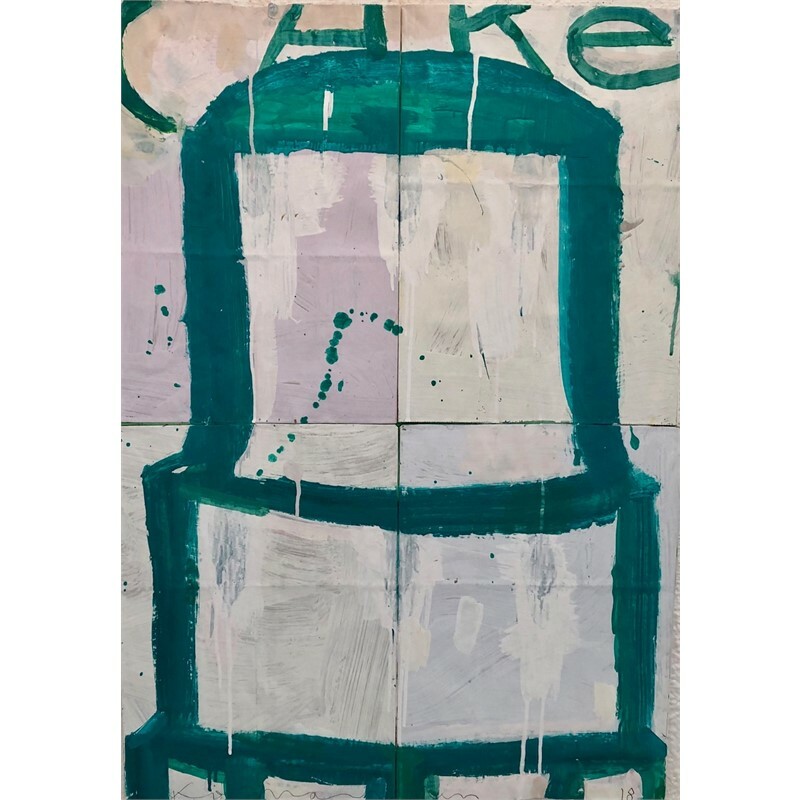 Guston’s influence is evident in Komarin’s merger of drawing and painting, often breaking the picture plane of his rich and elegantly composed color fields with an assortment of private iconic cake and vessel-like objects. 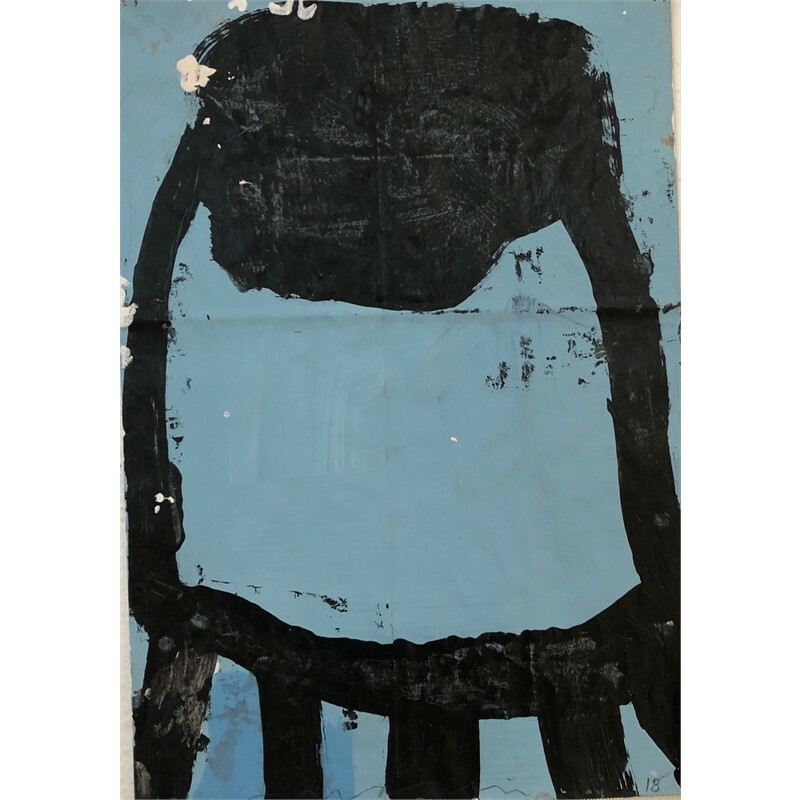 Preferring non-art industrial canvas tarps and drop cloths, Komarin eschews traditional painting media and materials. He builds layered surfaces with latex house paint in a thinned out sluice mixed with spackle and water. The house paint offers hybrid colors that seem slightly ‘off’ and the spackle creates a beautifully matte surface. 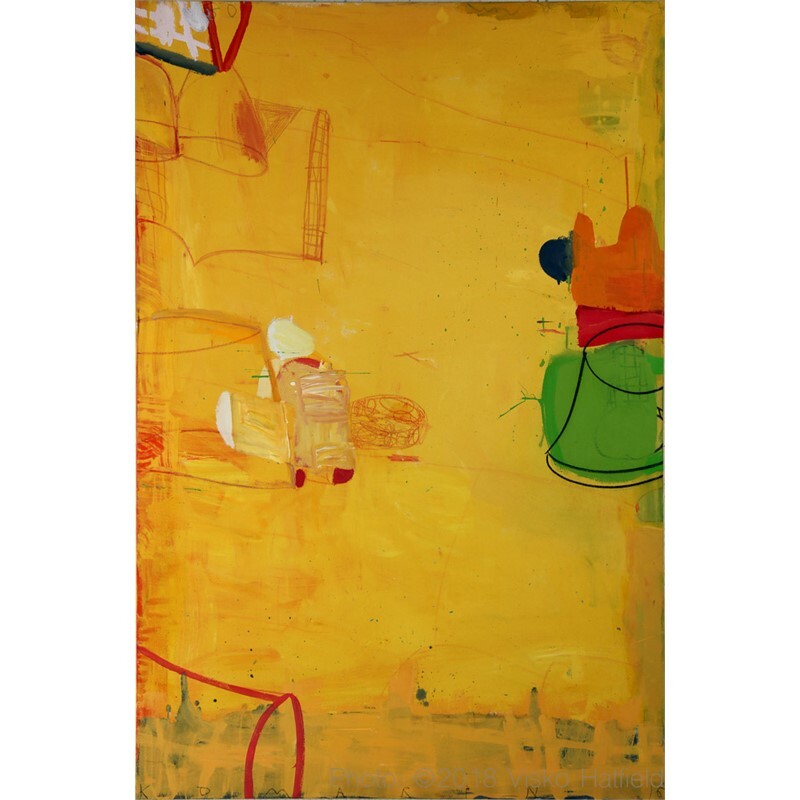 Using color energetically, the quick-drying materials allow him to paint with a sense of urgency, which mirrors the tension created by conflicting renderings of the spontaneous and the deliberate. The conscious and the unconscious or the strange and familiar. The resulting image is one that appears familiar but resists recognition. Komarin lives in the rural hills of Litchfield County, Connecticut. "For me, the rather amazing aspect to the cakes is how very much ‘variety’ I manage to squeeze out of a format that I have done many, many times." 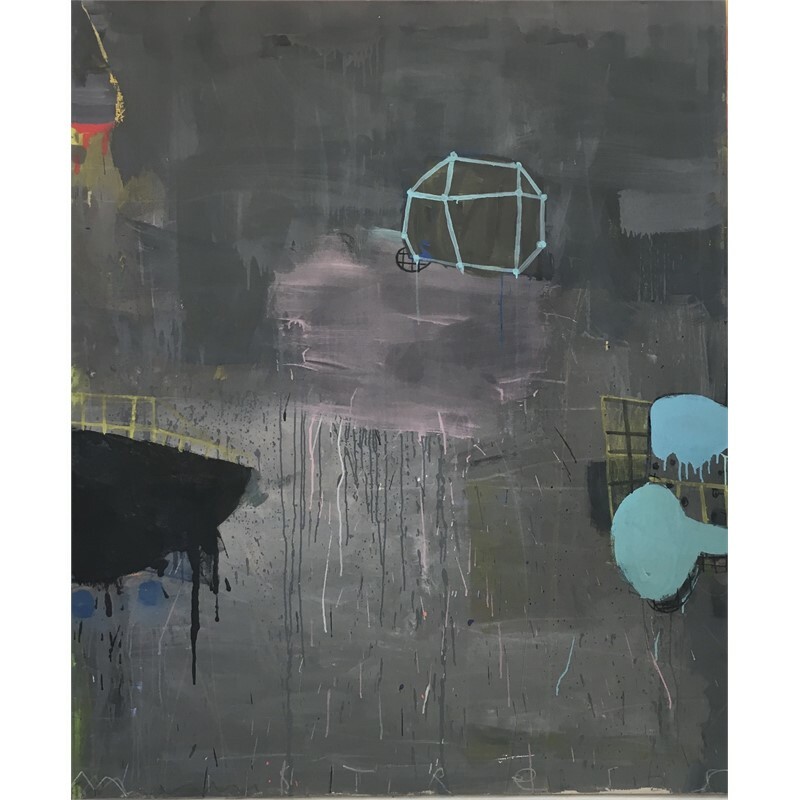 Born in New York City, the son of a Czech architect and Viennese writer, Gary Komarin is a risk taker in contemporary painterly abstraction. Komarin’s stalwart images have an epic quality that grip the viewer with the idea that he or she is looking at a contemporary description of something timeless. For painter Gary Komarin, abstraction has never been a formal dead end. 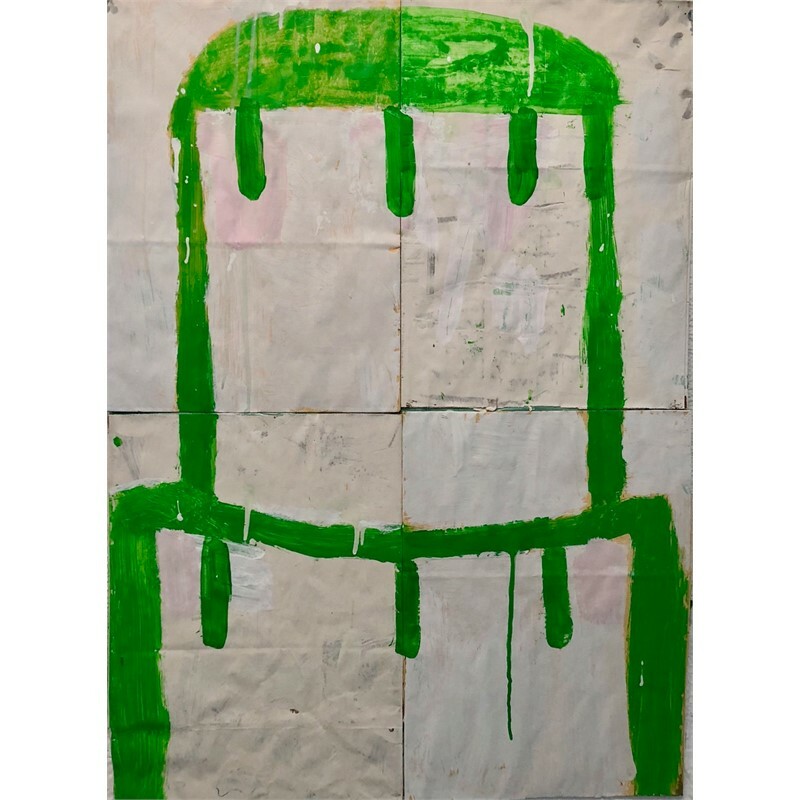 Rather, it has allowed him to challenge the limitations of the style–to make painting ‘include more’ precisely because a recognizable image excludes too much. Komarin has been called a “painter’s painter.” His status in this regard is based on the authenticity of his work, its deep connection to the tradition of modern painting as well as its sustained individuality as an utterly personal voice. 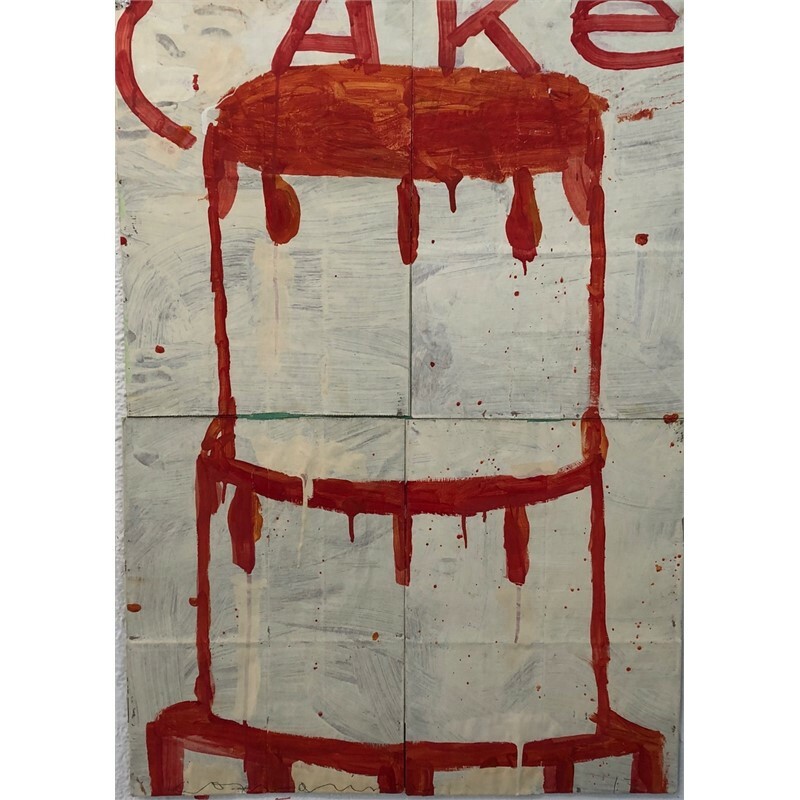 Extending the direction of the New York School painters Like many of the best artists of his generation, he is indebted to the New York School, especially his mentor Philip Guston with whom he studied at Boston University where he was awarded a Graduate Teaching Fellowship. Komarin has been particularly successful at filtering these influences throughout his own potent iconography. Contemporary American Painter skips traditional painting media and materials for a latex hybrid mix Guston’s influence is evident in Komarin’s merger of drawing and painting, often breaking the picture plane of his rich and elegantly composed color fields with an assortment of private iconic cake and vessel-like objects. 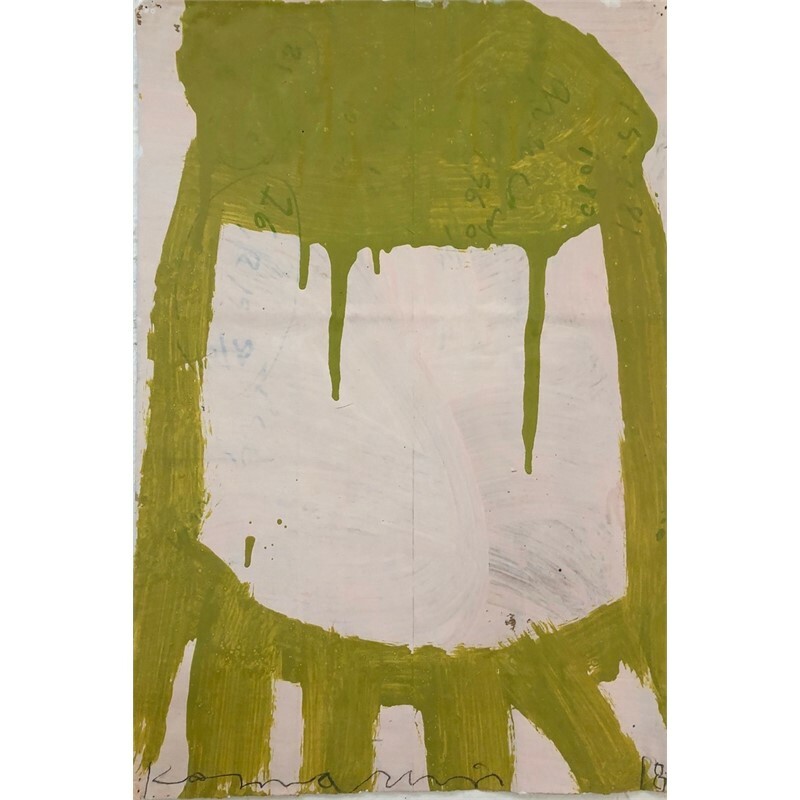 Preferring non-art industrial canvas tarps and drop cloths, Komarin eschews traditional painting media and materials. 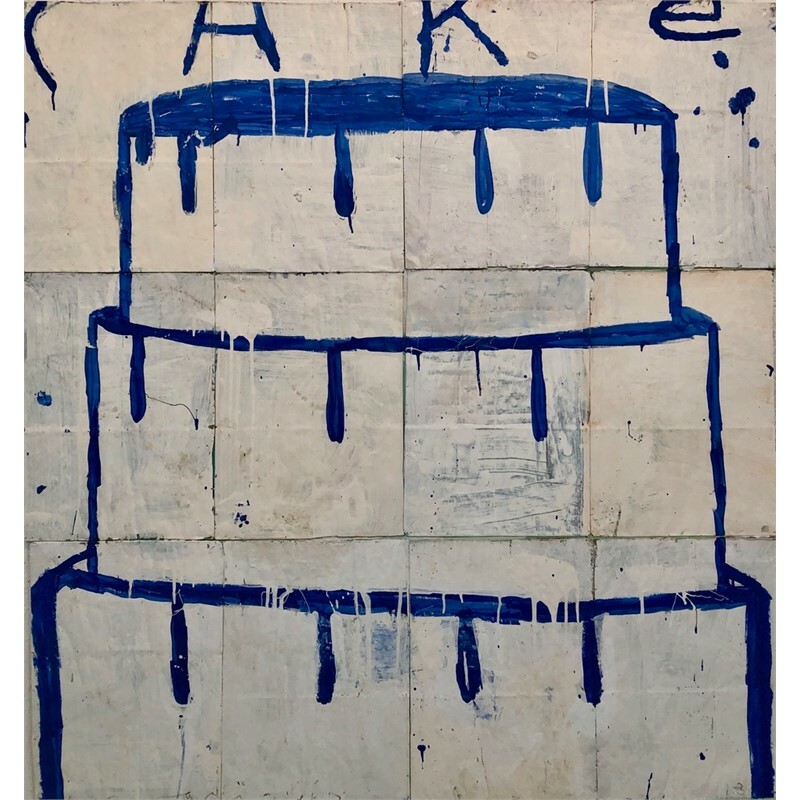 He builds layered surfaces with latex house paint in a thinned out sluice mixed with spackle and water. The house paint offers hybrid colors that seem slightly ‘off’ and the spackle creates a beautifully matte surface. 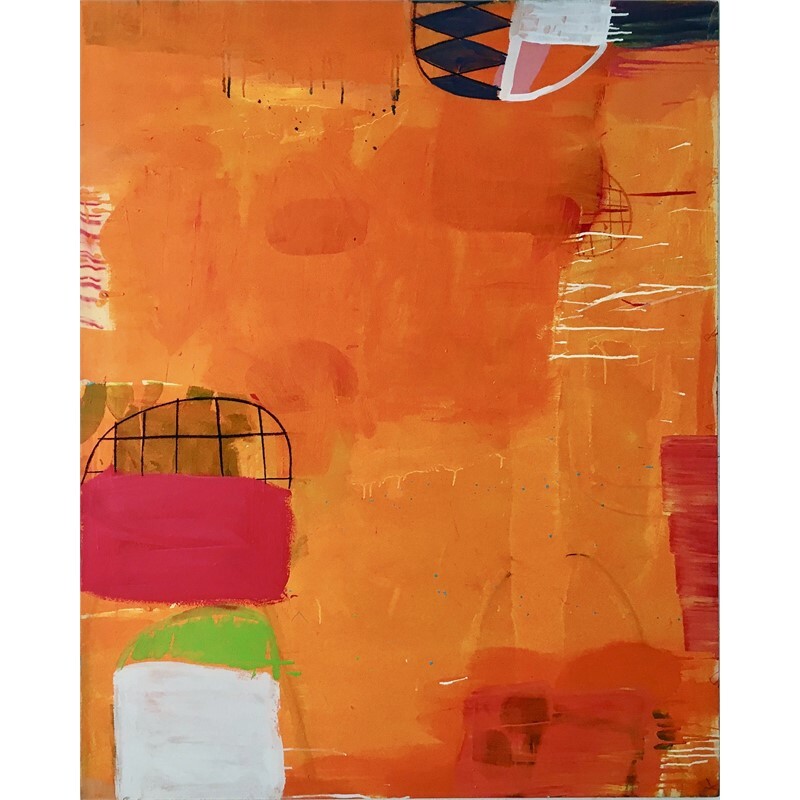 Using color energetically, the quick-drying materials allow him to paint with a sense of urgency, which mirrors the tension created by conflicting renderings of the spontaneous and the deliberate. The conscious and the unconscious or the strange and familiar. The resulting image is one that appears familiar but resists recognition. Komarin lives in the rural hills of Litchfield County, Connecticut.